Join an established company, in a growing industry. A rewarding career begins in a rewarding workplace, and at Air-Temp Mechanical Inc, there are always endless opportunities for professional growth. Team members are to innovate, and are valued for it. Join our company of over 40 years, and be met with a supportive company culture. We invite you to learn a little more about our us, our location, and the many perks and benefits of being an Air-Temp employee. Now Hiring HVACR Technicians & Engineers. We offer great compensation for talented candidates. If you have formal training, certifications, or years of experience we would enjoy having you join the team. We’ve been in business for 40 years and offer that job stability that is hard to come by these days. If you need something consistent, we are a great opportunity. Get compensated not only with pay. We value each member of our company and take every moment we can to liven up the workplace. If you prove yourself to be full of solutions and problem solving, we offer raises, bonus’s and promotions to worthy candidates. No dead-ends here. We offer a future in our company with competitive pay and room for growth and continual education. If you are interested in expanding your skills and stay with us, we can assist in further certifications. We understand no one is perfect, and we don’t hold anyone to impossible standards. Enjoy your work place. Enjoy the rewards of a job well done. We take one big projects that will leave you feeling your mastery grow. We have positions available for an HVACR Technician with formal education and training with 2 to 5 years experience. You are responsible for troubleshooting the problem and making the necessary repairs with little to no supervision. Work involves industrial systems. Hiring one In-House Systems Engineer. Excellent problem solving skills and expert knowledge of CAD designing software. 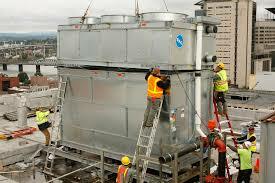 A bachelor’s degree in either HVAC engineering technology or mechanical engineering is required to get started.